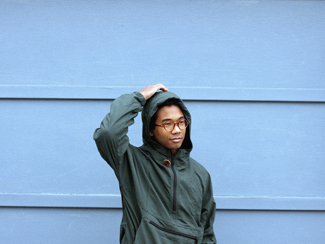 Toro Y Moi means, “new album and tour” in Spanish. Look it up. Patrick JeffordsIt’s still October, but for all intents and purposes, 2012 is over. How so? Not only is every new album being announced slated to come out in the new year, but pretty much every tour announcement as well. Still hoping that December dance card was going to fill up? Maybe get a jump on your Christmas shopping instead. But at least you have something to look forward to, including the third album from South Carolinan electronic pop – let’s not call it electro-pop – artist Chaz Bundick, aka Toro Y Moi. Entitled Anything In Return, the follow-up to 2011’s Underneath The Pine will be out on January 22 and will be accompanied a week later by a month-long North American tour that takes him right around the continent, including a February 17 date at Lee’s Palace in Toronto, tickets for which will run you $20. Pitchfork has the full itinerary and the first track from the new record is available to download. Also coming out on January 22 is the third album from Syracuse, New York’s finest (and only?) indie rock ensemble Ra Ra Riot. It’s called Beta Love and is their first since the departure of cellist Alexandra Lawn, so it will be interesting to hear how that lineup change effects their sound. They’ve also got an extensive North American tour scheduled – with a slight detour to Japan – and will be at Lee’s Palace on March 6, tickets $18.50 in advance. And while the official word on Local Natives’ second album and attendant tour came last week, the conspicuous lack of a Toronto date was addressed – as I predicted – this week, with the addition of a date at The Opera House on March 28. Tickets for that are $21.50. Sufjan Stevens has released a video from his Silver & Gold Christmas box set coming November 13, and while it is animated, it’s probably not for kids. Wild Nothing have released a new video from their latest Nocturne that comes with a little celebrity flavour in the form of Michelle Williams. You know, that girl from Dawson’s Creek. No, the other one. Tangentially, you should all be watching Don’t Trust The B– In Apartment 23. Very tangentially. A Place To Bury Strangers also have a new video taken from Worship. And between giving interviews to The 405 and Drowned In Sound, Paul Banks has rolled out a new clip from his solo record Banks. Interview and Creative Loafing interview Josh Tillman of Father John Misty, hutting up Lee’s Palace this Saturday night, October 27. Tobin Sprout talks to Rolling Stone about a new song available to stream from the third Guided By Voices album of 2012, The Bears For Lunch. It’s out November 13. While no fan of this “deluxe edition” trend going on for current albums, at least Sharon Van Etten is offering some good value. Consequence Of Sound reports that the double-disc edition of Tramp, out November 13, will come with a bonus disc of demos of every song on the album. And, if you’ve already bought it – which you should have – the demos will be available on their own CD. And that, folks, is how you do deluxe. One of the extras – a song not on the finished album – has been made available to stream. We Love DC also has an interview. The Awl and Exclaim hang out with Patrick Stickles of Titus Andronicus. They’re at Lee’s Palace on November 27. Stereogum and Rolling Stone talk to Jason Lytle, rolling into Massey Hall on December 5 opening for Band Of Horses. The Cincinatti Enquirer, Chicago Tribune, Time Out Chicago, and City Pages interview members of The Afghan Whigs. 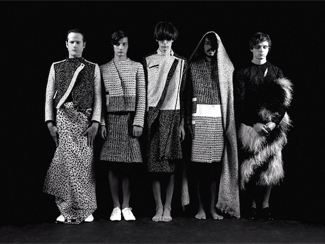 Blurt, Chicago Tribune, and The Wall Street Journal interview Divine Fits. In conversation with Spinner, Ben Gibbard says that a second Postal Service record isn’t going to happen anytime soon and probably not ever.